If you see this don't touch it! How do you treat Giant Hogweed? Of the major invasive plant species problems in the UK Giant Hogweed potentially presents the greatest human health risk. Although less headline grabbing than Japanese Knotweed it still represents a significant challange to the biodiversity of our environment. As the photo above shows, when it gains a proper foothold it isn’t long before it out competes everything else and becomes a forest. The perspective is a bit difficult to grasp initially but if you keep in mind that the photo was taken from a bridge over a railway cutting, the tree in the back of centre frame is a mature tree and the majority of the Hogweed in that photo is 3m or more in height you get some idea of how imposingly large this plant can get. The plant is utterly spectacular when grown to it’s full 5m height and in bloom but the spectacle of the giant white flower heads and huge jagged leaves belies a very nasty surprise if you get too close. The sap of the Giant Hogweed plant contains chemicals called furanocoumarins which make your skin sensitive to light in a condition called photodermatitis which ‘burns’ to produce blisters which will leave extremely painful and unsightly purple scars. If you like gory photos then examples of these injuries can be seen here and here. It can damage your vision and could cause blindness if the sap gets into your eyes. This photosensitivity can persist long after contact leading to years of discomfort any time that area is exposed to sunlight. If you even think you’ve got this sap on you wash the area throughly in cold water, keep the affected area out of sunlight and get medical attention at the first sign of a reaction. So if it crops up on your property what do you do about it? The plant typically takes 2 to 3 years to reach maturity and produce a flower but the sap retains its harmful qualities throughout the life cycle of the plant and can be transferred to skin by the fine hairs on the stalks and leaves of the plant. So you’ve got a bit of time to react if the plant is immature but protective clothing is a must. The crucial thing is to do something before the flower heads turn into seed heads and the ground becomes a carpet of seeds every time the wind blows. The most effective method of control is herbicide application. As ever bear in mind that it is a legal requirement that herbicides be applied in accordance with the product licence by suitably qualified individuals. The exact methodology will be dependant upon a range of factors but more than one treatment is going to be required to kill this plant. Unlike other some other invasive species a program of physical destruction can be successful at removing a stand of Giant Hogweed. Remember that physical damage of the plant will release sap and while viable for small stands this approach is labour intensive and could well be more cost prohibitive than herbicide applications. The exact manner of this destruction should be tailored to the circumstances on site and will depend upon the size and numbers of the plants and point in the growing season. Any program of physical destruction must be carefully executed to sufficiently damage the plants and ensure destruction and planned with monitoring and repeated rounds of destruction to catch any regrowth and destroy the young plants which sprout from seed present in the soil in subsequent growing seasons. If you happen to have a ready supply of herbivorous animals which can be put to work sheep and cattle can be used to graze and trample down young hogweed plants. This has been shown to be effective but is most effective on small plants particulalry if started early in the growning season. It is also crucial to closely monitor the livestock and ensure that they have access to forage other than Giant Hogweed. 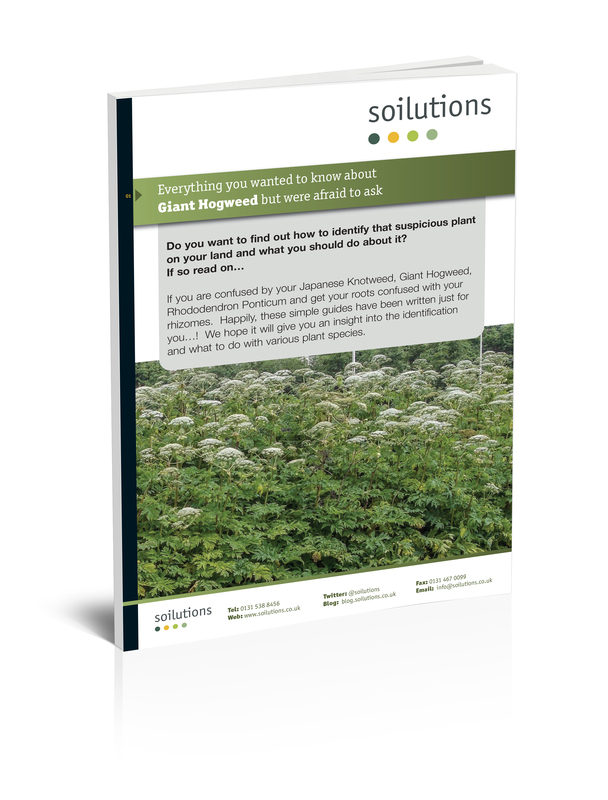 Call us on 0800 0209 307 with any questions on Giant Hogweed, alternatively follow the link below for our online guide to Giant Hogweed. I was once again saddened to see another news story of people being injured by contact with Giant Hogweed two boys from Bolton were playing in a clump of Giant Hogweed and obviously got covered in sap and sustained what look to be quite extensive and will be very painful injuries. The sensitivity to sunlight that results from this exposure will last for some time possibly years and the boys may go on to develop very noticeable scars in the areas of these burns. I was talking to a client on a site recently and he knew of a worker who had been cutting back vegetation with a strimmer and had unknowingly gone through a stand of Giant Hogweed. This operative was lucky not to be blinded but the description of his injuries was horrific. It seems like every year about this time we get a few incidents like this and it’s so unnecessary. Increasingly people are aware of Japanese Knotweed and that’s great, we’re doing something right because it’s a big problem and awareness is half the battle but for my money education about Giant Hogweed is far more crucial. I tell this to as many people as I can, and I get mocked by my family and friends for this behaviour but I’d rather be laughed at than see someone I know get hurt because they were unaware of the risks. To keep yourself safe this is what you need to know; It’s the sap which is harmful so physical contact with the sap is to be avoided. Sap is released when the plant tissue is damaged so cutting breaking or otherwise damaging the plant will release sap. It is also released from the fine hairs (bristles) on the leaf and stem of the plant. Initial exposure to the sap is completely painless, the reaction and injury is caused by making your skin very sensitive to light which is then damaged by ultraviolet light, the correct term is Phytophotodermatitis. So you will only notice the effects 15-30mins after exposure by which time it’s too late. The sap can soak through your clothing and transfer to your skin so the best course of action is to avoid contact with the plant altogether. If you have to be in contact with the plant then face / eye protection is essential and wear impermeable gloves, boots and oversuit. If you think that you have come into contact with Giant Hogweed sap then IMMEDIATELY wash the affected area with soap and water and keep it out of sunlight for at least 48 hours. If you’ve definitely been exposed to sap or after washing and staying out of the sun reactions occur anyway then seek medical attention immediately. It’s still going to hurt but the sooner you get treatment the less it will hurt and the better your recovery will be. An odd little piece of information came up the other day which happens to coincide with a few of the things we’re currently dealing with in the office. Rhododendron Ponticum contains poisons which discourage grazing animals from feeding on them, this is fairly widely known and just another reason why Rhododendrons have to be controlled and another thing which makes the plant difficult to control. This doesn’t usually affect humans because humans would never try to eat Rhododendrons but humans do eat honey. The toxins are present in the nectar of the plant and Bees which draw a significant proportion of the nectar they collect from Rhododendrons can manage to produce poisonous honey. The toxins in question are called Grayanotoxins and consumption of sufficient quantities can result in cardiac problems and even death while lower doses will result in excessive salivation, perspiration, vomiting, dizziness, weakness and paresthesia (pins and needles) in the extremities and around the mouth, low blood pressure and sinus bradycardia (reduced heart rate). Looking on the bright side the condition is rarely fatal and generally abates within a day without medical intervention, but it’s still not going to be a fun experience. It is very rare for toxic levels to make it into honey particularly in commercially produced honey however there are historical records of it being deliberately produced in Turkey going back to 400 BC when hives or sections of comb (depending on which version you believe) loaded with toxic honey were left in convenient locations to be discovered by hungry soldiers and poison invading armies. Latterly in the 1700s this Mad Honey was sold into Europe where it was added to alcoholic drinks to give them some added kick. John has been learning about bee keeping recently for an upcoming project and we’ve been removing a lot of rhododendrons which is how we stumbled onto this fact. So now we, and you, know not to site bee hives in the middle of large areas of Rhododendron Ponticum. Okay so this is probably not the most readily applicable advice for everyday life but interesting nonetheless. 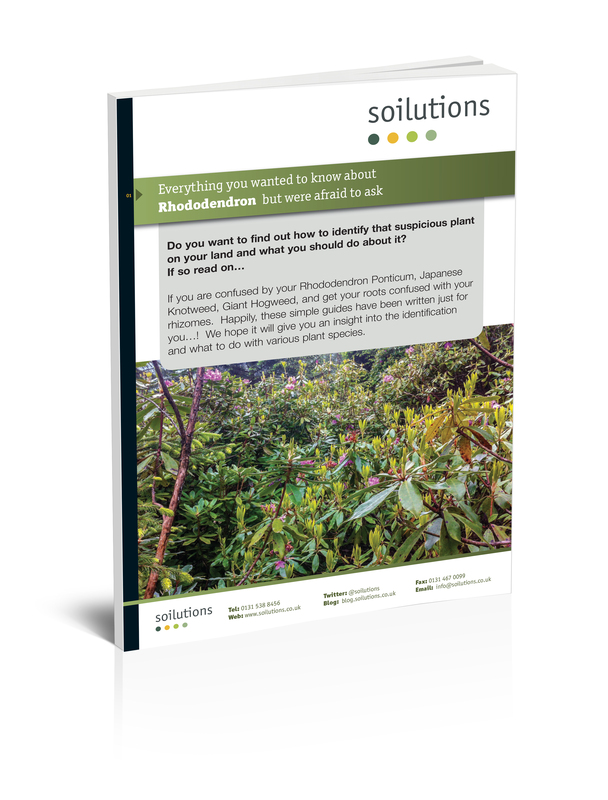 This free guide will help you learn about Rhododendron and how to treat it in the simplest terms. Download it now for free!